If you’ve made the decision to move abroad then Holland is a great choice, as the Dutch are famously hospitable and among the happiest people in the world! Removals to Holland will take a bit of work to organise but it will be worth it in the end. Planning what you will take is one of the most important steps when moving abroad. Moving to Holland with all of your worldly possessions is obviously a lot more expensive than travelling with the bare minimum, so decide what you can’t live without and only take the essentials if you want to save money. It’s also important to remember that if you’re hiring a moving service then any spare space in the vehicle will go to waste, therefore ensuring your possessions adequately fill the van will ensure you get value for money. 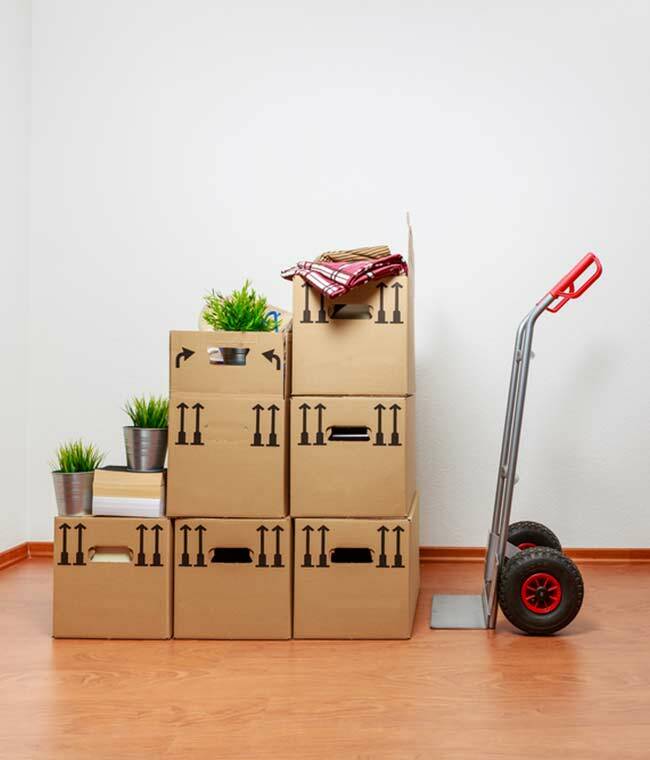 Make sure you have the lowdown on where you’re moving: contact the Dutch authorities for more information on what taxes and charges might be applicable and to apply for work permission. The last thing you need when moving abroad is to be paying for your broadband back home! Here’s a list of services you might need to notify before moving to Holland. As mentioned, you might not want to take everything abroad with you, so now is the time to break out the boot sale and become an eBay aficionado to rid yourself of some of the clutter that we accrue over our lifetimes! Now you have told people you’re moving and know better what it is specifically you need moved you’ll be able to get accurate quotes from transport companies. Carriers operate different policies so it’s best to get a number of quotes to see which one will suit you best (the next two tabs will have more information on choosing a removal company). This is the most time consuming part of moving, and while we can’t help you pack we can give you some advice to help your move go smoothly. List! : When you’re packing organisation is key – keeping an accurate record of all the boxes you pack will help you to make sure everything is accounted for at both ends of the move. Whether it’s computerised or paperwork, any list is better than no list at all! Be logical: Packing away all of your essentials at the bottom of a box of kitchen supplies isn’t going to help you when unloading. Packing room by room and coordinating boxes by colour or number will be very beneficial in the moving process. Get a head start: - You already know you’re moving, so it doesn’t hurt to pack away some of your least used items. For example winter clothing can be put away if your move will fall in the summertime. Be meticulous: Your goods will be travelling a long way to Holland so it pays to make sure that they will be safe the whole way. Packing tightly and with padding will help avoid damage to breakables. Ensure that you properly mark boxes that contain fragile goods so moving companies take special care with them. Keep essentials: During your move and the last night before the removers come you won’t have many supplies. Keeping an “emergency” bag with important documents, basic hygiene essentials and other useful items such as first aid kits and maps should help you out in a bind. Last minute tasks should include cleaning up your house (either yourself or hiring cleaners), disconnecting your appliances, draining fridges and freezers and double checking with your utility providers that everything is set to be disconnected. Convert your money to euros and make sure you set up financial services in Holland before you move, it will be easier than trying to do so once you’re already there. If you are moving pets then please refer to our pet transport page. Moving your life to the Netherlands is not something that you should rush, so finding the right international moving company should be well up there in your list of priorities. Bear in mind that international moves take a lot more time to plan for than domestic ones so anywhere up to a few months’ notice might be required to hire a moving company. Packing can be a daunting task, especially if you’re making the move to Holland alone, which is why professional moving services can arrange to help you pack your personal possessions properly! This type of service will cost you a fair amount more than doing the whole removals to Holland job yourself but you can have peace of mind knowing that the experts did the tough part. If you’re competent at packing, and feel that you only need the service to help you move to the Netherlands then you can literally pay for the movers to turn up on the day and whisk your belongings away. This will save you a little when it comes to cost but will obviously take some effort packing and helping to load the van. Feeling brave? You might be able to move to Holland yourself, but bear in mind that renting a van for a one way trip can be quite expensive and that it means you’ll be driving a fair way with all your valuable possessions across an unfamiliar landscape. If you do want to move yourself do make sure that you check your insurance coverage, (professional movers have a high level of cover because that’s their job). Your home contents cover may not tide you over international borders! From the UK, ferries to Holland are commonplace; the most likely port to sail from is Harwich, which will ferry you to The Hook of Holland. If you are using a moving service you might want to travel on the same ferry or make sure you’re already at your new abode to greet them. You can also have your goods shipped via a removals container, the shipping container will be delivered to your house where you may pack it and then have it collected and transported for unpacking at the other end. Getting quotes for international removals can be quite difficult because the commitment to carry your life’s possessions is so great. Prices can vary quite substantially, so if it’s your goal to find cheap removals to Holland then getting a number of quotes is the best idea. Hopefully this is where Shiply can help you out! By listing your move to Holland online with us you will get access to thousands of removal companies. They will quote competitively to undertake your removals job meaning you could get a cheaper quote! The best thing is, you could find a driver who really needs to go to the Netherlands so they are looking to fill the space in their van. You’ll be able to compare quotes and see the reviews of the removals companies on Shiply so you can make an educated choice of carrier. It’s free to list your move so you’ve got nothing to lose by requesting a quote! When you meet the removal company or container at your new home, make sure you check that your possessions are unscathed as best you can. You probably won’t know if anything’s broken until you start unpacking but be sure to make a note of anything that’s damaged or missing. The removal company will usually help you unload your stuff, but is less likely to help you unpack. Be methodical, unpack room by room and delegate tasks to your family (don’t let the kids do the kitchen!). When you have the time and precious internet access, please do leave feedback for the international moving company if you found them on Shiply! Feedback helps all of our users to spot a great transport service. We wish you “veel succes” (good luck!) with your new Dutch home!